You can now install Firefox OS apps on Android. Firefox for Android supports Mozilla’s “Open Web Apps,” allowing you to install and run Firefox OS apps directly on an Android device. The Firefox Marketplace now functions as an alternative app store for Android, just as the Amazon App Store Google Play vs. Amazon Appstore: Which Is Better? Google Play vs. Amazon Appstore: Which Is Better? The Google Play Store isn't your only option when it comes to downloading apps -- should you give the Amazon Appstore a try? Read More does. 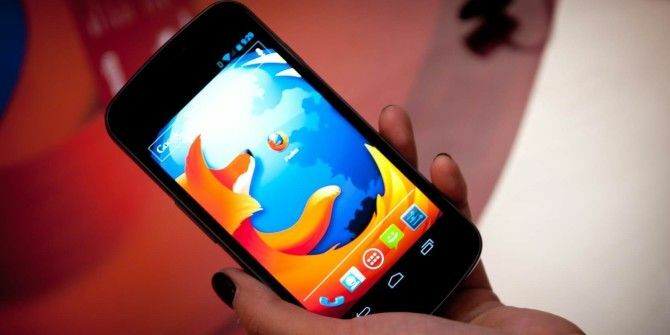 Mozilla wants to replace native smartphone apps with cross-platform web apps. You’ll be able to buy apps from the Firefox OS marketplace or any third-party app store. These apps will then run on Firefox OS, Android, and ideally every other platform. Your apps won’t be chained to a single platform, so you can keep using them even if you switch from Android to another platform. Firefox OS is all about the web. A Firefox OS app is actually a web app, although it’s written specifically for Firefox and uses Firefox’s new APIs to access the dialer, device sensors, and other features. Mozilla provides a Firefox app for Android, and this Firefox app uses Mozilla’s Gecko rendering engine. Because Firefox for Android and Firefox OS are built on the same technologies, Firefox OS apps will now work on Android via the Firefox browser. Apple doesn’t allow developers to create their own browser engines, so this isn’t possible on iPhone or iPad. They can be also be run on PCs via the Firefox OS Simulator. This is Mozilla’s long-term vision, anyway. In the meantime, Firefox OS hasn’t yet taken off and the Firefox OS marketplace has slim pickings. Mozilla clearly hopes that making this platform available to Android users will encourage developers to create more Open Web Apps. First, you’ll need the latest version of Firefox for Android installed on your device. Download it from the Google Play Store. If you have an Android device without the Google Play Store, you can download a Firefox APK file directly from Mozilla’s FTP servers [No Longer Available]. 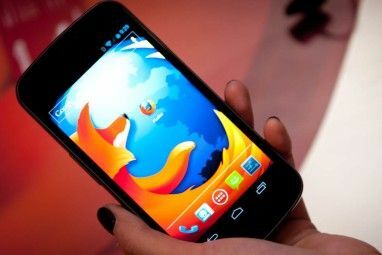 You’ll need to keep Firefox for Android updated on your own if you do this, regularly downloading a new Firefox for Android APK file How to Manually Install or Sideload Apps on Android How to Manually Install or Sideload Apps on Android Want to sideload apps on your Android phone? Installing APKs manually on Android opens up a whole new world of apps, and it's easy to do. Read More and installing it on your device. Open the Firefox Marketplace website, which should be one of the default thumbnails under Top Sites on Firefox’s home page. You can also go directly to this site by typing https://marketplace.firefox.com/ into Firefox’s address bar. You can access the site in any web browser to browse the available apps. In Android’s settings, you’ll need to enable the “Unknown Sources” checkbox to install apps from the Firefox Marketplace. You’ll see an “Install blocked” message if you don’t. Open Android’s Settings app, tap Security, and check “Unknown Sources”. This powerful option allows you to install apps from outside Google Play — for example, from the Amazon App Store, Firefox Marketplace, or direct from a developer’s website. 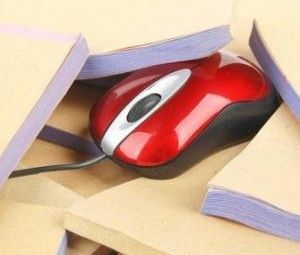 Be careful when using it — don’t install pirated apps from shady websites or you could get infected with malware. The vast majority of Android malware Has Your Android Phone Been Infected with Malware? Has Your Android Phone Been Infected with Malware? How does malware get on an Android device? After all, most users only install apps through the Play Store, and Google keeps a tight watch over that to make sure malware doesn't squeeze through, right?... Read More comes from outside the Google Play Store. With the setting enabled, you can now browse the store, select an app, and install it. You’ll see Android’s normal app installation screen when you tap “Free” or the app’s price to install it. The app appears to run independently from Firefox. It will get its own icon on your app drawer, and you can place a shortcut directly to the app on your home screen. Open the app and it will run in full-screen mode, without any Firefox bits getting in the way. This is the same way these web apps run on Firefox OS. These apps do use Firefox in the background, though. If you uninstall Firefox for Android and attempt to launch an installed Firefox OS app, you’ll be taken directly to Google Play so you can reinstall Firefox for Android. They won’t run without Firefox installed. Open Web Apps even get their own entry in Android’s multitasking interface, so they’re not all cluttered in Firefox’s browser tabs. In a world where Firefox OS was successful, this feature would be awesome. You’d gain access to an app store full of awesome web applications that worked across platforms, so you could get your apps from there. Your apps could then follow you from platform to platform, so you could easily move between Firefox OS and Android — and ideally other platforms like iPhone and Windows Phone — without losing your apps. Unfortunately, we don’t live in this world. In our world, Firefox OS is at the very beginning of taking off. Very few apps are actually available in the Firefox OS marketplace. Some available apps — like Twitter — are basically just web apps. The native Twitter app for Android offers a much better experience. Firefox apps also rely on web technologies, and those technologies just aren’t as mature on mobile platforms — native apps will give you better performance. 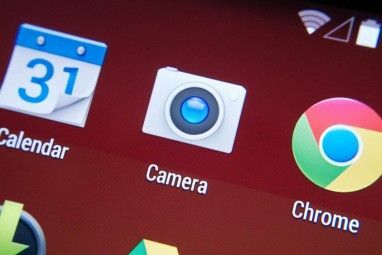 Firefox is still noticeably slower than Chrome on Android What's the Fastest Android Browser? 7 Top Apps Ranked What's the Fastest Android Browser? 7 Top Apps Ranked With so many Android browsers available, which are the fastest? Here are the best browser apps on Android. Read More , which doesn’t help. What Does Firefox OS Need To Succeed? This is a very cool idea, and a great proof of concept. If Firefox OS becomes successful, this may even be an amazing feature someday! For now, this just provides a glimpse of how far behind Firefox OS’s app selection is. Will you be giving it a go? Which potential Firefox app do you think will be the tipping point for Firefox OS? Can I just say as a fairly normal user who is a bit bamboozled by an Android 4.4 tablet after a decade of Windows and Ubuntu, that I am very disappointed that Firefox presents such a limited interface on Android. On Windows and Ubuntu I am able to hone and format firefox nicely to my needs...nice bookmarks bar for browsing,themes,lots of add ons and so on . My reaction is that the firefox Android interface is lazy,clumsy,minimal and like something from ten years back. Maybe I am missing something somewhere,but even information about Android and firefox seems scattered and piecemeal. Come on,Mozilla,you can do better than this! I am in the UK. Not sure why that should make any difference but I can't find anything mentioned in the article.